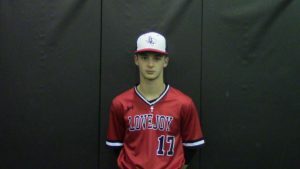 Favorite Subject: Math , Favorite Food: Ice Cream, Favorite Music: Country, Favorite TV Show: The Office, Favorite Movie: Spider Man: Into the Spider-verse , Favorite Athlete: Giancarlo Stanton ,Spare Time: Golf, Whiffle Ball and hanging out with friends , Best Memory of Lovejoy Athletics: 7 run comeback vs N. Forney last year and playoffs the last two years. 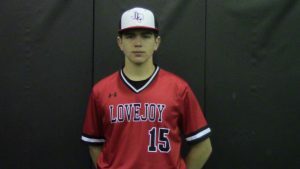 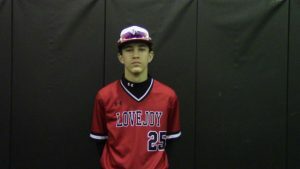 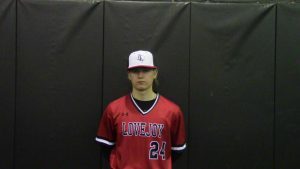 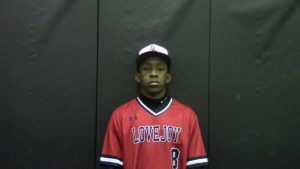 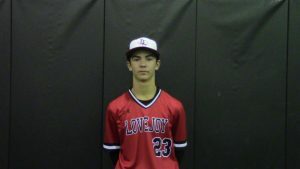 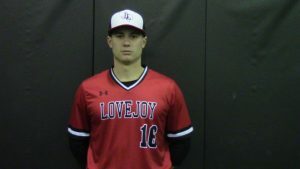 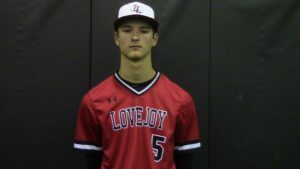 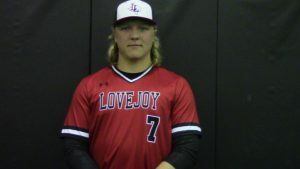 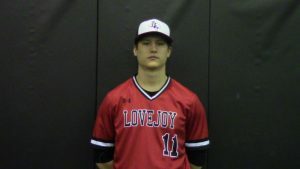 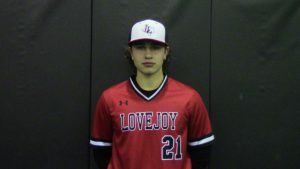 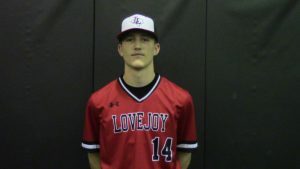 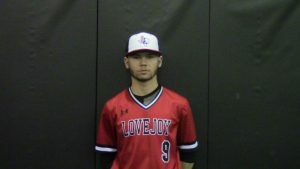 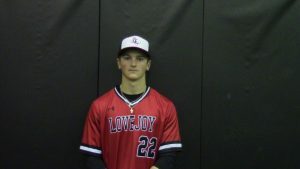 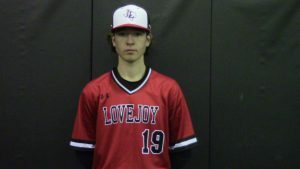 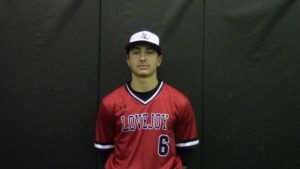 Favorite Subject: Math, Favorite Food: Steak, Favorite Music: Country, Favorite TV Show: Good Doctor, Favorite Movie: 007, Favorite Athlete: Buster Posey, Spare Time: Work on my Jeep, fishing, and hangout with friends., Best Memory of Lovejoy Athletics: Hitting a HR and a grand slam in one game. 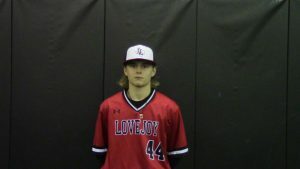 Favorite Subject: Computer Science, Favorite Food: Patty Melt, Favorite Music: Rap, Favorite TV Show: Teen Titans Go, Favorite Movie: Austin Powers Series, Favorite Athlete: Craig Kimbrel, Spare Time: make beats or play baseball, Best Memory of Lovejoy Athletics: Luke Stine hitting a walk off HR vs N. Forney. 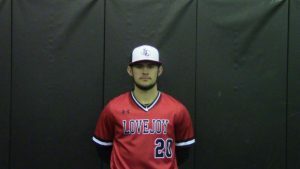 Favorite Subject: History, Favorite Food: Italian- Pizza, Favorite Music: Country, Favorite TV Show: The Office, Favorite Movie: Iron Man, Favorite Athlete: Drew Brees, Spare Time: Hang out with friends, Best Memory of Lovejoy Athletics: Luke Stine’s walk off HR. 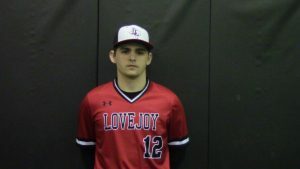 Favorite Subject: Journalism, Favorite Food: Steak, Favorite Music: Need to Breathe, Favorite TV Show: Impractical Jokers, Favorite Movie: Happy Gilmore, Favorite Athlete: Christian Yelich, Spare Time: reading, church activities, Best Memory of Lovejoy Athletics: Working out and practicing on the same field as my brother my freshman year. 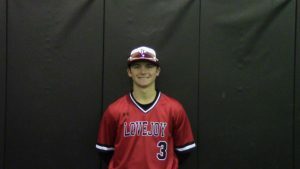 Favorite Subject: Physics and Chemistry, Favorite Food: Chicken Parmesan, Favorite Music: Rap, Favorite TV Show: Breaking Bad, Favorite Movie: Remember The Titans, Favorite Athlete: Joe Kelly, Spare Time: hang out with friends, play football/baseball/basketball and listen to music, Best Memory of Lovejoy Athletics: Comeback win against N. Forney with Luke Stine’s walk-off Slam. 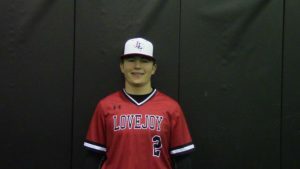 Favorite Subject: Athletics, Favorite Food: Wagyu Steak, Favorite Music: Country, Favorite TV Show: Criminal Minds, Favorite Movie: Saving Private Ryan, Favorite Athlete: Bo Jackson, Spare Time: Becoming a better person and athlete, Best Memory of Lovejoy Athletics: 2018 State Wrestling tournament. 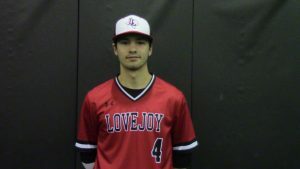 Favorite Subject: Algebra II, Favorite Food: Pasta and Chicken Parmesan, Favorite Music: Rap, Favorite TV Show: That 70’s Show, Favorite Movie: Pulp Fiction, Favorite Athlete: Gleybor Torres, Spare Time: Eating, Best Memory of Lovejoy Athletics: Stine hitting bombs in practice.